Alopecia can range from the thinning of hair to complete baldness. There are many different types of alopecia including the common “male pattern baldness” of hair loss at the front and at the top of the head. 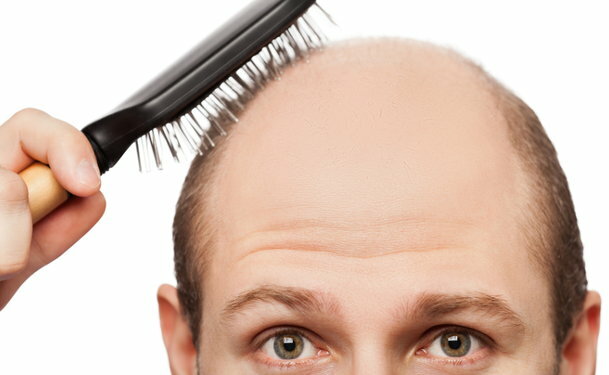 Baldness can also occur in patches or can consist of the entire head. 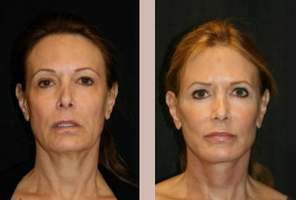 In addition, it can be on an area of the body. It is normal to lose about 50 to 100 hairs on a daily basis. Alopecia can be caused by an aging or a predisposition genetic condition (in the family). Most women that experience thinning of the hair usually have alopecia over the age of 40, but men, on the other hand, may begin to experience hair loss as early as in their teens and in their 20s. Other men may experience this hair loss condition in their 30s. Prolonged use of certain hair processing chemicals, such as hair dye, permanents or bleaches, may cause alopecia. Usually these solutions do not cause a lot of hair loss, but if they are not used properly or left on for too long, damage to the scalp and hair can occur (sometimes ending with baldness as a result). Also, some hair styling methods, such as wearing the hair in a tight ponytail for a long period of time or braiding, can cause alopecia. Vitamin deficiencies, crash diets, childbirth, blood loss, severe infection, sudden high fevers or emotional stress and certain medications all can cause hair loss. Also, some medical conditions and treatments such as chemotherapy and radiation (on the areas of treatment) may also contribute to alopecia.